One of the most common questions we are asked when it comes down to choosing an addiction treatment program is: What is the difference between Methadone and Suboxone? While both Methadone and Suboxone are medications used to treat opiate addiction, they do so in different ways that could affect which treatment would work better for you. Methadone was originally developed in 1937 and came to the U.S in 1947 as a pain reliever. It wasn’t until the 1960’s that Methadone started being used as a way to treat opioid dependency. Suboxone is a much newer addiction treatment and was approved by the FDA in 2002 to treat opioid dependency. Methadone changes how your body responds to pain and can reduce or eliminate withdrawal symptoms. It is a synthetic opioid that is a full agonist, which means it activates the same receptors as opioids like morphine and heroin to help prevent withdrawal symptoms. It comes in tablets or liquids and can be easily swallowed. Suboxone also reduces or eliminate withdrawal symptoms. Its combination of the ingredients Buprenorphine and Naloxone blocks opioids from attaching to receptors in your brain and acts as a partial agonist, which means that it will activate those same receptors in the brain as Methadone, but not to the same extent. It comes in the form of a tablet or a sublingual film. Methadone must be prescribed by a doctor and taken under the supervision of a doctor early on in the addiction treatment program. In some cases, Methadone can be prescribed for take-home use assuming the patient is following all the other guidelines outlined in the drug rehabilitation program and is authorized to do so by a licensed physician. Methadone treatment requires stricter monitoring protocols due to one’s ability to potentially misuse or abuse the medication against a doctor’s recommendations. Suboxone must be prescribed by a doctor and is often prescribed for daily take-home use thirty days at a time. There are some treatment plans that use Suboxone to help patients transition off of Methadone, as it is a more flexible drug rehabilitation program. Methadone is the standard for addiction treatment for women who are pregnant. 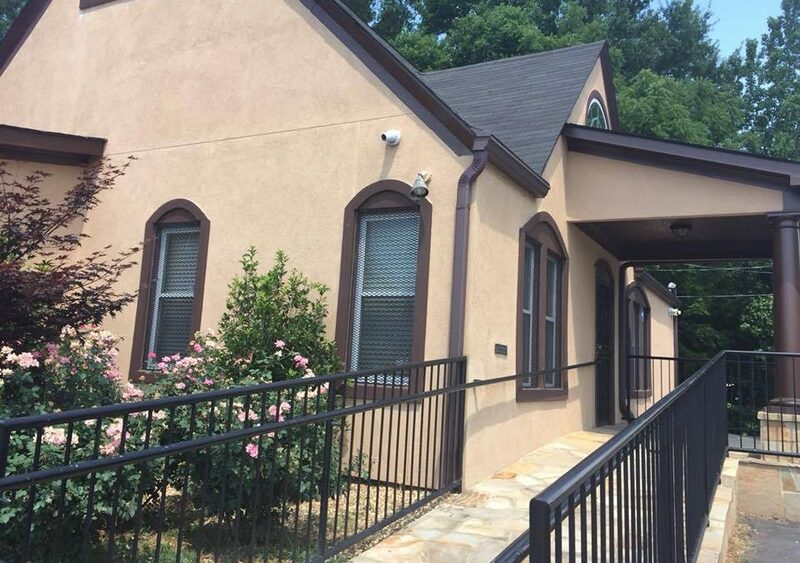 At New Day Treatment Center, we provide daily Methadone to women who are pregnant to ensure the mother and baby’s safety by avoiding episodes of withdrawal. Suboxone is not generally used for women who are pregnant at New Day Treatment Center, as there are a limited number of studies available to provide insight into how safe this treatment is during pregnancy. New Day Treatment Center will help you find the addiction treatment program that will work best for you through a thorough examination by one of our doctors and by taking into account the severity of your addiction, your medical background and your current medical and psychosocial needs. Both our Methadone Treatment program and Suboxone Treatment program also include group and individual counseling services. This psychological support is a key element in any drug rehab program, as it gives you the tools to maintain your recovery by addressing the underlying motivation for your addiction and helping you develop coping mechanisms. Call today to see how Atlanta’s top Methadone Clinic and Suboxone Treatment Program could help free you or your loved ones from the pain of addiction.